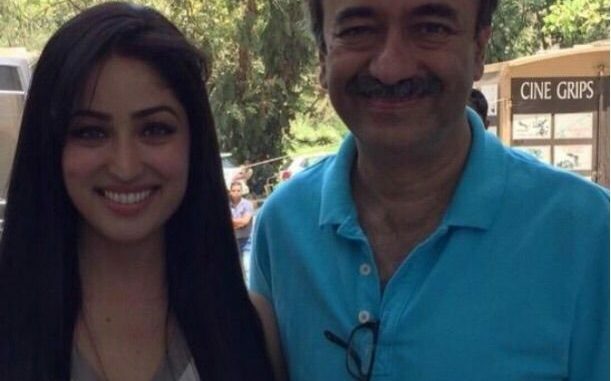 Recently Yami Gautam was shooting for an advertisement in Filmcity, Goregaon. During the shoot she saw Rajkumar Hirani on the sets. Yami is a fan of the film maker and she was very excited to see him. She wanted to talk to him so she went up to the director and expressed on how she has been a huge fan of the director. Rajkumar Hirani also spoke to Yami about her acting prowess and encouraged her. He mentioned that he liked her in Vicky Donor, and that she should keep up the good work. Yami was overjoyed to be praised by one of her favourite directors. 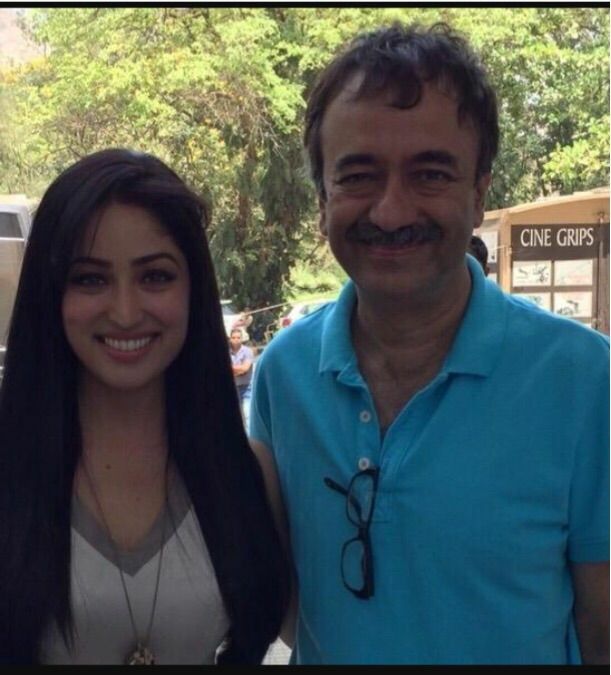 She then requested him to pose with her for a picture, and without any hesitation, Rajkumar Hirani obliged.